Don't think you can't add a ruffle to that perfect dress or pair of curtains for your kitchen. All you need is some embroidery cotton or even dental floss. Yes, I said dental floss.It actually works very well because the material will slide easily. 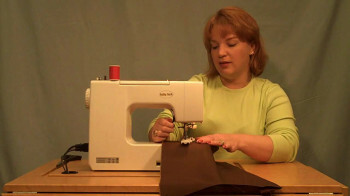 In order to gather your material, set your machine on the zig-zag stitch. 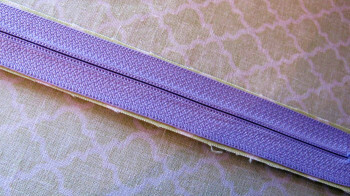 You can even set the stitch on a little bit wider than the normal setting. Lay your string about 1/2 inch from the edge. Stitch over the string carefully making sure to keep the string in the center of the stitch. Once you are have come to the end of your material hold one end of the string and gather the fabric. 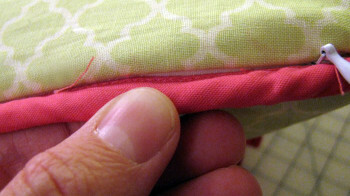 Sew a straight stitch along the edge and then pull the string out. Now you have a perfect gather!